The Puppy Mill Problem – Let’s Get Real! Recent investigations have alarmingly uncovered a rise in puppy farms in production throughout the United Kingdom, a trade renamed “battery farming of dogs,” by animal welfare charity, The Dogs Trust. These dog battery farms have been concealed in parts of the United Kingdom’s most rural settings, many holding up to 150 breeding dogs, 24 hours a day, writes Craig Davenport. Puppy mills feed from the hands of society. Careful marketing and advertising reel in prospective owners, using glossy campaigns to hide the truth. In times like these it would be a blessing if dogs could talk. Is there a country imposing a strict animal welfare regulation? A place standing head and shoulders above the rest, refusing to buy dogs which originate from the shadier sides of the canine market? There are currently 23 countries in Europe that require dog licensing to be compulsory. The licensing puts the burden of responsibility back in the hands of owners and relieves the welfare system to a degree. Improvements to quality of life and reductions in inherited disease are notable benefits to the licensing system, but it’s far from perfect. But it’s a start that we haven’t made in the United Kingdom. 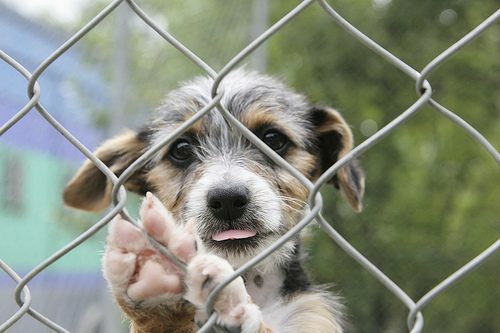 Germany along with the Netherlands, and Slovenia have reduced careless reproduction, in favour of a controlled society with reduced inherited diseases since the introduction of dog licensing. Dogs in these countries can no longer be used as reproductive machines. Every dog needs to be licensed, keeping an effective tab on breeders and making it easier to identify to poor breeders. Then there is Switzerland carving their own in the rehabilitation of animal welfare, a country which has pulled animal welfare to the forefront of their responsibility. Switzerland introduced a compulsory system requiring prospective owners to hold a qualification before they can even have a dog. This ensures only the most devoted qualify. Under Swiss law, prospective owners will have to pay for a dog ownership course which is split into two segments. An act that I believe is the definitive step in the right direction for the welfare of dogs. The qualification enforces the responsibility of ownership, embedding necessary information in to a prospective owner. It is divided into two parts; the first being a theory exam and the second, a practice section on how to correctly walk their dog and how to react in a number of different situations. Should a dog ownership qualification in the United Kingdom be introduced? Would it work? I definitely think it could. Why wouldn’t it? This qualification would make it harder for incompetent dog breeders to claim legitimacy, reigning in breeders who only want the best for their litter and not their wallets. Responsible owners and breeders would benefit from such a law, only the less capable would perish. Under Australian animal welfare legislation all dogs must be micro-chipped, and persons found to be distributing dogs without a micro chip could face prosecution. Micro-chipping is a subtle and effective method of monitoring, if not controlling the production of dogs, one that is an effective and inexpensive way of tracing any dog with their owners. This is by no means a compulsory regulation in the United Kingdom, but there are some obvious benefits. Dogs that have been micro-chipped would have to have been in front of a vet, and any owner who has their dog micro-chipped could enjoy benefits such as cheaper pet insurance. Also, people who sell dogs which are not chipped should face prosecution. Making a simple means of identification compulsory like Australia could have an effective impact on dog welfare in the United Kingdom, and help control the puppy farming trade. The United Kingdom has failed to improve their responsibility to animal welfare. It is still a place where you can purchase a dog on a whim. Some puppy farms even often the lure of a money back guarantee. Not that these guarantees are regularly honoured, but offering them does two things. Firstly it attracts the sort of buyer that should never in a million years be considering dog ownership, the one that wants a get out clause if they go off the idea. Secondly, it commoditises dogs, putting them in the same bracket as a piece of fitness equipment or face cream. The underground world of puppy farming often inhabits the more secluded locations. Recently more cases of the trade in the United Kingdom have come to light; television documentaries and investigations are showing the dark and secretive world of profit breeding. Wales and Ireland known for their beautiful rolling countryside conceal a lot of this undetected activity, especially Ireland, where puppy farming is notorious. Ireland has no laws which prohibit puppy farming, so to nobody’s surprise it has been dubbed “the puppy farming capital,” according to Puppy Love Campaigns, a website dedicated to raising public awareness around puppy farming. They also state on their website: “It is estimated that 50,000 trafficked puppies are believed to be imported from Ireland each year.” A shocking figure, especially when the majority of these young dogs end up in the windows of pet shops- a place where deceptive advertising and marketing deceive the inexperienced. There is one weakness in the arsenal of the puppy farm industry, but responsible owners and welfare organisations are unable exploit it. If you could starve the trade of the oxygen of publicity, they’d die. Sadly the BCAP Advertising Regulation Code allows pet shops to advertise their services, as long as their claims are honest and above board. It has nothing in its legislation to deal with they don’t claim. So pet shops that source their stock from puppy farms are given the same impression of legitimacy as those that would never dream of selling live puppies to ignorant buyers. What can be done to prevent the useless, damaging breeders and traders of the dog world who use the media as platform, advertising their dogs to inexperienced owners who fall for the same sales tactics time and time again? The media’s mission “is to serve or engage the public.” If that’s the media’s mission they have failed to serve their public when these issues are concerned. New owners are exposed to these advertisements, then they buy a puppy, then the puppy develops behavioural issues or grows sick. Puppy farms exist because there is a demand for the cheap product, not by the end user but by the middle man who spots the potential mark up on cheap, mass produced dogs. If people don’t buy into this trade it will die out, but for as long as people are unaware of what they’re buying, this is unlikely. Of course, stricter legislation would help, but there’s a way around everything if there a enough people with their wallets open. The public are the only people that can put an end to puppy farms by refusing to use their services, only then will this trade hopefully come to an end. Mass awareness and cooperation from those that inadvertently support the trade are the only ways to achieve this end. The classified advertisements and pet shops which sell farmed dogs have finally been identified as the underbelly of the dog world, with more people discovering the darker side of the pet trade. This trade is propped up by advertising. Careful marketing that blinds a prospective owner with the aesthetics of dog ownership. The advertisements showing cute-as-a-button puppies available to good homes immediately are guaranteed to pull at the heart, and wallet of a prospective owner. The origins of this puppy will not be of importance. Cuteness and availability over rule. The media world are slowly discovering they are allowing puppy farmers to advertise through their business, they use various mediums to maximise their profit and continue to gain public interest. But there is no reason for them to stop accepting the advertising revenue from dog supermarkets. In 2009, we contacted Smooth Radio. It came to our attention that one of the advertisers showed the signs of a puppy farmer. As the Christmas season crept upon the public, so did an advertisement from a chain of pet stores notoriously known for their mass puppy sales, and online pet shop website. In an email to Smooth Radio, we said we had researched the advertiser’s website, confirming our suspicions. The public advertisement displayed all the hallmarks that it sourced dogs from a puppy farm. The timing and the content of the advert were obvious to anyone who knew the signs. Five weeks before Christmas, an advert promoting dogs as Christmas gifts, claiming to have lots of breeds in stock, alarm bells are bound to ring. Nobody can argue that GMG Radio are breaking any rules, but that’s because the rules are not written with the selling of mass produced live animals in mind. It’s only with the cooperation of companies like this that puppy farming will go away. The BCAP Advertising Regulation allows pet shops to advertise live animals over the radio? The advertisers must remain truthful in their advertising, staying in the perimeters of the law, and their commercials are entitled to be transmitted? But what about these places, selling numbers of different dog breeds from a shop. Does this sound like a company which is above board, adhering to the law and regulations? Sally Wright, of the Dogs Trust, the UK’s largest dog welfare charity believes pet shops fail to find the appropriate owners, and claims “The Dogs Trust is vehemently opposed to the sale of puppies in pet stores especially when there are so many stray and abandoned dogs in desperate need of re-homing in rescue centres across the country. Pet stores do not make home visits to assess the suitability of people wanting to buy a dog and not all ensure customers fully understand the responsibility that comes with owning a dog which could need looking after for the next 12-15 years.” The Dogs Trust believe that the practicalities of dog ownership are overlooked when puppies are purchased in pet stores as impulse buys, or as a result of ‘pester power’ from children. The Dogs Trust have discovered that battery farmed dogs suffer from health and behavioural problems as a result of their poor breeding and lack of socialisation. Remember buying a dog is a life changing decision and one that should be researched, and taken on by only the most dedicated owner. If you have any doubts, or you think you need advice before you purchase a puppy, contact your local vet/ dog centre who will be more than happy to point you in the best direction. There are certain signs any new owner should look for when buying their new puppy. If you don’t know what to look for, you’re not ready to become a dog owner. Along with using general common sense when searching out a healthy puppy; there should not be any discharge from their eyes, and if a puppy looks at all unhealthy no matter how vulnerable and sad it may appear, do not buy. Remember the dog you are buying is a lifetime commitment so choose wisely, and do your research. Puppy farming is an epidemic which occurs all over the world, whether you live in the United Kingdom, Switzerland or China there will always be cases of puppy farming that come to light. When I set out writing this article I wondered if there was a country where puppy farming ceased to exist, discovering the only thing separating these cases is stricter animal welfare legislation and better education. The only place where puppy farming can be eradicated is a place where there is no demand for cheap puppies to sell at a profit. We need to turn gullible owners into informed owners and starve those selling farmed puppies of their core customer base. Then we need the media to accept their responsibility in not helping businesses that buy from puppy farms to reach new, gullible customers. Countries like Germany and the Netherlands use compulsory dog licensing to control these problems, Australia introduced micro-chipping to control the over production of dogs, keeping records of every pet dog, which would no doubt reduce puppy farming. It’s no secret that there are quite a few counties with superior animal standards than ours. We need to use these countries as role models, whilst attending to our own unique problems, by educating the public and tightening our own laws which will help put an end to the epidemic of the battery farmed dogs. But legislation won’t make the problem go away in countries where a demand already exists. If legislation worked, nobody would take drugs. Education and cooperation are key. Thanks for the tips you have discussed here. Another thing I would like to talk about is that laptop memory demands generally go up along with other advances in the engineering. For instance, when new generations of processor chips are made in the market, there is certainly usually an equivalent increase in the scale demands of both the personal computer memory in addition to hard drive space. This is because software program operated by means of these cpus will inevitably increase in power to use the new technological know-how. I live in Holland and pay more than 200 euros a year licence fees for my 2 tiny dogs. I am sure it helps responsible ownership, although unless the council makes home checks its very hard to check dog owners are paying.